Flyer announcing a show at the Zeitgeist Gallery in Cambridge. From the Joe Monteiro Video Tape Collection. During the 1990s, the Zeitgeist Gallery was the catalyst for Cambridge’s emerging community of improvisational musicians. Owned by Alan Nidle, the Zeitgeist was located on the corner of Broadway and Norfolk Streets. Friday night concerts called the Playground Series began in 1997. Subconscious Cafe, also held at the Zeitgeist, were curated by Cambridge resident Rob Chalfen. The scene was thriving and gaining an international reputation. A dedicated audience would convene weekly to listen to Cambridge-based groups, joined by musicians from all over the world, for intense boundary-pushing concerts. On April 26, 2002, the Zeitgeist Gallery was destroyed by fire. 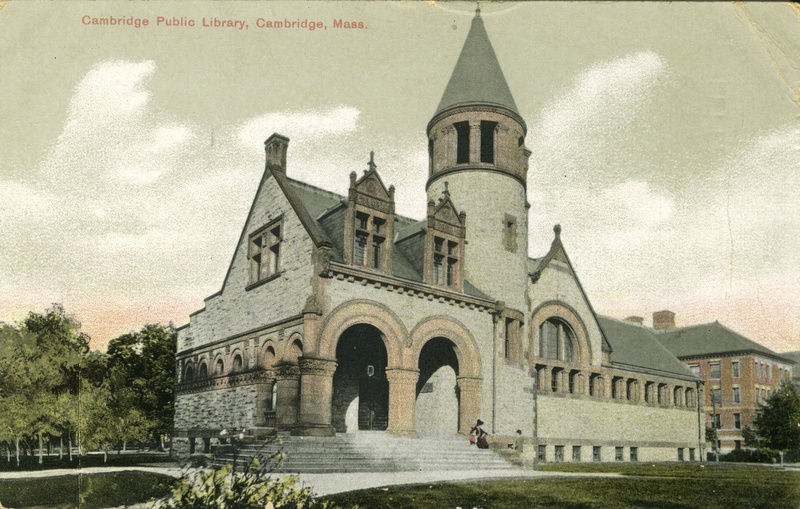 The Playground and Subconscious Cafe Series moved to various locations in Cambridge and Boston but never regained their popularity. By 2005, the improvisational music scene in Cambridge began to slow down. The small art galleries and venues were forced to close due to raising rents. The flyers in this exhibition are from the Joe Monteiro Video Tape Collection. Monteiro recorded concerts between 2000 and 2005, becoming the unofficial documentarian of the Cambridge area creative music scene. Charles Shively and Cat, photograph taken from Shively’s memorial service in December 2017. This exhibition, curated by Daniel Wuenschel, features a selection of photographs of and poems and books by Charles Shively, Cambridge poet, author, and activist. Shively was active in the Boston LBGTQ+ movement in the 1970s, helping to form Gay Men’s Liberation. In 1971, he helped found the Fag Rag Collective, which published the Fag Rag, the first national post-Stonewall gay political journal. Shively published a series of twelve essays, in Fag Rag beginning with “Cocksucking as an Act of Revolution,” a piece that became seminal to gay male political theory in the post-Stonewall era. Also, Shively founded Fag Rag Books, the Good Gay Poets Collective and Press, and Boston Gay Review, a journal of cultural criticism. Shively gained fame during the 1977 Boston Gay Pride March by nearly causing a riot for burning pages from the bible, his insurance policy, his Harvard diploma, and a teaching contract. In the late 1980s, Shively published his research on Walt Whitman in two volumes: Calamus Lovers: Walt Whitman’s Working Class Camerados (1987) and Drum Beats: Walt Whitman’s Civil War Boy Lovers. He was a tenured professor at U-Mass Boston in the American Studies Program. He died on October 6, 2017, just shy of his 80th birthday. Shively’s 1975 book of poems, Nuestra Señora de los Dolores: The San Francisco Experience, which is featured in the exhibition, is from the Louisa Solano Papers, 1956-2013. Read Shively’s obituary in the Gay and Lesbian Review Worldwide by Michael Bronski, Professor of Practice in Media and Activism in Studies of Women, Gender, and at Harvard University. An advertisement for Sparrow’s Chocolates, courtesy of the Boston Candy Museum at Spindler Confections. A fantastic selection of candy boxes from Cambridge-based companies are currently on display. This exhibition was curated by Nicole Hosette. The items are on loan from items on loan from the Boston Candy Museum at Spindler Confections. Cambridge’s candied past goes back to the early 19th century, when Isaac Lum opened the first confectionery in the city around 1820, on Broadway Street near Hampshire. His apprentice, Robert Douglass, opened his own confectionery in 1826 that went on to become the first large-scale candy manufacturer in Cambridge. One hundred years later, the industry reached its peak. By 1928, candy was Cambridge’s second largest industry, only behind soap. That year 26 candy factories employed 9000 workers who produced $15,860,000 worth of candy. Over the next 40 years, the industry consolidated until only a few big players remained. Today, the only one still producing is the New England Confectionery Company, makers of the famous NECCO wafers. They moved their production out of Cambridge to Revere in 2004. Page & Shaw, originally a small shop on West St. in Boston, opened their Cambridge factory on Ames St. in 1911. After earning international success, the company went bankrupt in 1930 and was bought by Daggett Co. in 1931. Page & Shaw chocolates were produced at least through 1960 when Daggett was bought by NECCO, but they stopped using the Ames Street factory. MIT bought the land and built a new structure, the Wiesner Building, in 1985. The Sparrow brand went through several transformations. From 1892 to 1907, it was operated by the H.F. Sparrow Co.; in 1907, ownership changed, and with that the name changed to Imperial Chocolates. Imperial merged with another Cambridge company, Lydian Confections, in 1908, and together they were renamed the Boston Confectionery Co. After this merger, the original factory at 62 Hampshire Street was sold to a box making company, and they moved candy production to 814 Main Street. But candy politics is tricky, and Arthur Potter, original owner of Lydian, split from the company in 1913. After a 1921 sale to H.D. Foss & Co., Potter bought BCC back in 1925. Finally, it was sold to Daggett in 1934. Elmer A Russell and his nephew Henry W Russell started Russell & Co. on Broadway in 1895, moving to the Norfolk factory after the first year. Due to poor health, the company was sold in 1927 to Apex Chocolates, a division of Daggett. Russell’s branded chocolates continued to be produced into the 1930s, but an exact production-end date is unknown. Durand’s began as a candy and ice cream shop in Boston’s Post Office Square in 1914. Around 1929, Durand Company merged with Brigham’s, an ice cream manufacturer and seller, and moved operations from Boston to 40 Ames Street in Cambridge. The company stopped producing Durand branded chocolates in the early 1960s, and eventually the Ames Street property became part of MIT. Brigham’s continued to succeed in ice cream, and today still sells its products at grocery stores nationwide. Deran S. Hintlian began acquiring bankrupt candy companies in 1929, thus founding Deran’s Confectionery Co. After operating in Somerville and then Boston, Deran’s opened a factory on Cambridge Street. After Hintlian’s death in 1966, international corporation Borden bought the company in 1970. It was bought again by Great American Brands in 1993, and finally by NECCO in 1994. NECCO continued production at the Lechmere Square factory until 2003. One of Deran’s chocolate brands, Haviland, is still produced and sold by NECCO. Gobelin originally operated out of the same factory previously owned by Russell & Co on Norfolk Street. Eventually they were acquired by Daggett, and their operations moved to Daggett headquarters on Main Street. Not much is known about Cedar Cliff Chocolates, including its founding or production years, but during the 1940s it was a part of Daggett Chocolates portfolio. According to city directories, operations happened out of Daggett headquarters on Main Street. Cedar Cliff was at one point part of the Daggett Chocolates portfolio, and operated out of the Daggett headquarters on Main Street. NECCO has a long history, but is best known for the NECCO Wafers, Sweethearts, Candy Buttons, and Clark Bars. They built a massive factory at Mass Ave and Landsdowne Street in 1927, which employed 1,300 people when it was built. At the time, it was the largest candy factory in the country. Over the years, they acquired other candy manufacturers, including many from Cambridge. They finally moved all production from Cambridge to a larger facility in Revere in 2003. Fred L. Daggett started the company in 1892 in Boston, and in 1925 consolidated several factories into a newly built factory in Cambridge. Along with NECCO, Daggett swept up other candy companies into their portfolio and eventually manufactured more than 40 brands of chocolates. Five of the companies showcased in this exhibit were eventually bought by Daggett. But after Fred Daggett’s death in the late 1950s, the company began to suffer and closed in the early 1960s. NECCO bought the equipment and recipes, and the land was sold to MIT. Today, the original factory of the James O. Welch Company, makers of Junior Mints, Sugar Daddies, Sugar Mamas, and Sugar Babies, is the last local factory still in operation. Tootsie Roll Industries, which began in New York in 1896 and adopted the Tootsie Roll name in 1966, bought the Welch brands in 1993, and today uses this factory on Main Street to produce Tootsie Rolls. The political button with an image of the candidate first appeared during the 1860 election; Abraham Lincoln and his opponents used tintypes as a way to advertise their campaigns. William McKinley and the election of 1896 saw the first mass produced “celluloid” buttons constructed of a metal disk covered with paper with a printed message and protected by a layer of clear plastic. Throughout the 20th Century campaign buttons were ubiquitous, with millions made for every election cycle, protest movement, or slogan (political or otherwise). In the past decade, the trend has waned in favor of “web buttons” and disposable stickers. This exhibition shows campaign buttons from the Mary Leno Ephemera Collection. 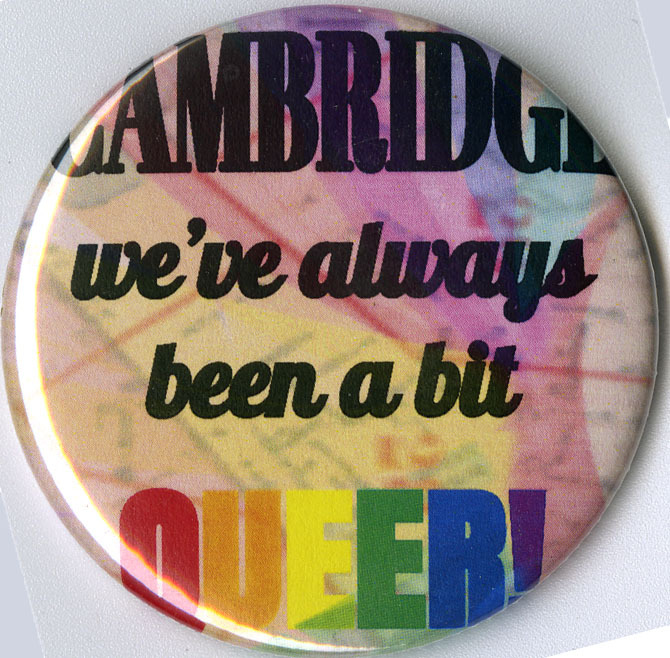 Leno began collecting buttons in the late 1960s and amassed an impressive array of Cambridge-related themes: from City Council races to the protest against the Inner Belt Highway. Leno’s collection documents the later half of the Twentieth Century, including the LGTBQ rights movement, women’s rights, and rent control. In 1861 North Cambridge and West Somerville was a very thinly settled area. Camp Cameron (Later named Camp Day) was a Civil War camp of Rendezvous and Instruction located on the North Cambridge / West Somerville town line. The Massachusetts First Regiment occupied the camp on June 1, 1861 and the last troops left in January 1863. The camp sat between what is now Mass. Ave. and Broadway. Cameron Ave. runs through the center of it. For twenty months thousands of troops were both recruited and trained at Camp Cameron. The camp consisted of thirty permanent buildings and several smaller temporary buildings and tents. The camp was often at odds with its neighbors because of noise and crime. 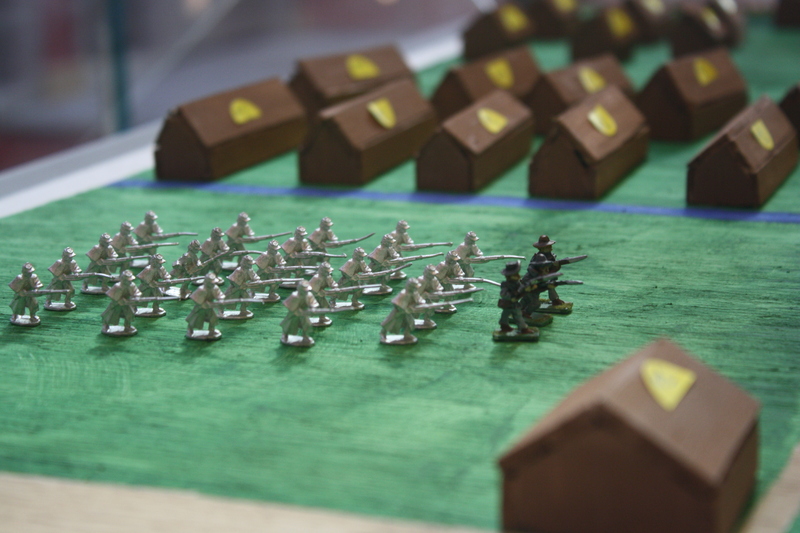 For the first year of its existence Camp Cameron trained new regiments for the seat of war. In its second year its primary purpose was to recruit replacement men for the “old regiments, already at the front.” After January 1863 its function was moved to Fort Independence on Boston Harbor. Its biggest drawback was it had no fence and like most camps in the union at this time it was subject to bounty jumping. As recruiting became harder, lucrative signing bounties were added to entice recruits to sign up. Some people made a career out of this. They enlisted, collected the bounty, deserted, moved on to another town, and did it again. Ft. Independence was considered more secure. If you look at today’s map you will see streets named not only Camp & Cameron but also Seven Pines, Yorktown, Glendale and Fair Oaks, all named for Civil War battles. 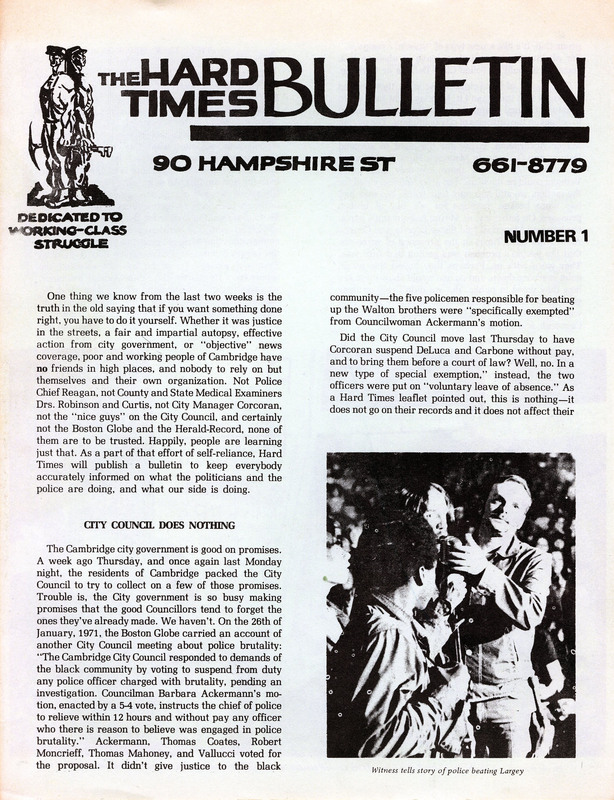 The inaugural issue of the Hard Times Bulletin, describing the anger felt by the death of teenager Larry Largey while in police custody from the collection of the Cambridge Newsletters and Newspapers (052). Cambridge has a history of activism, especially during the turbulent 1960s and 1970s when political debates and protest around police brutality, racism, and rent control took center stage. 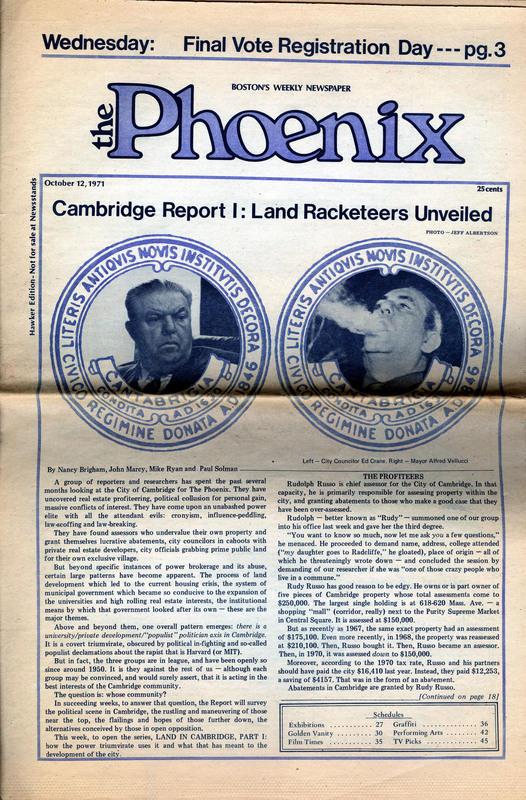 In later decades, activism turned towards issues of homelessness and scientific testing, although rent control continued to occupy Cambridge’s political scene. 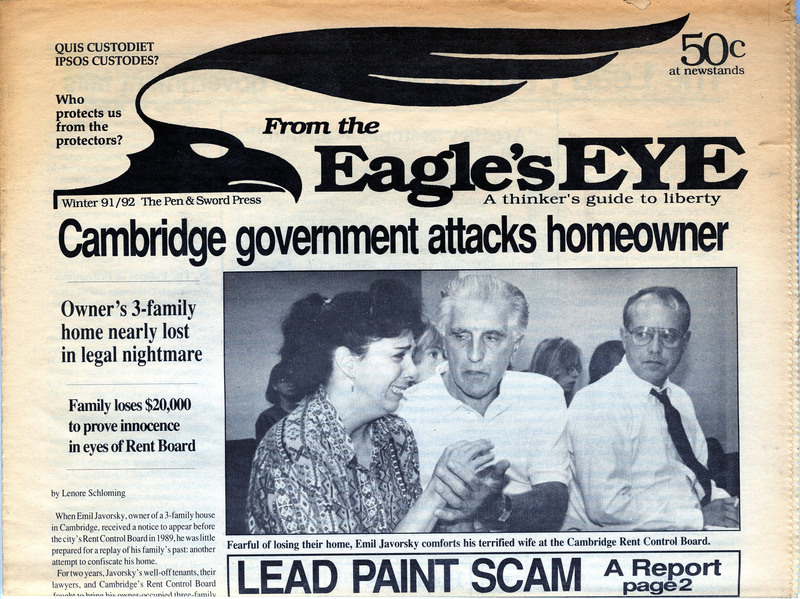 This exhibition shows examples of newsletters that grew out of Cambridge activism. 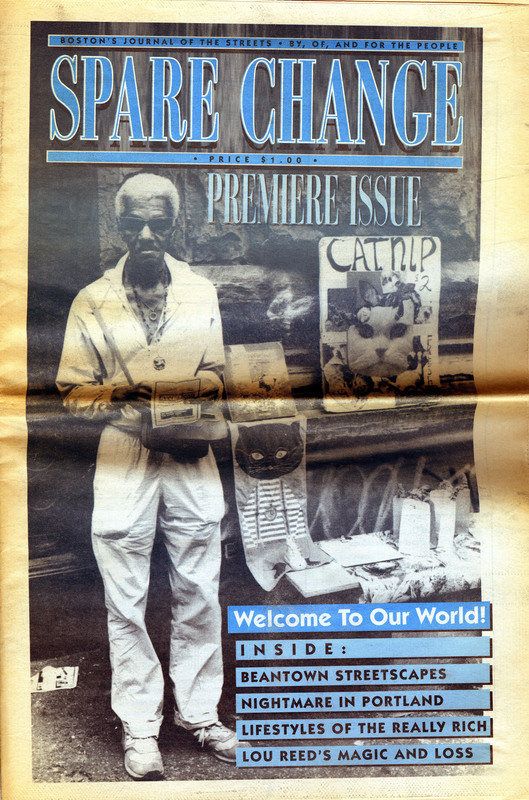 From the inaugural issue of Spare Change News, a newspaper created by the homeless, to the anti-rent control publication, Eagle’s Eye, these newsletters capture the zeitgeist of the city. An anti-rent control newsletter from the early 1990s. 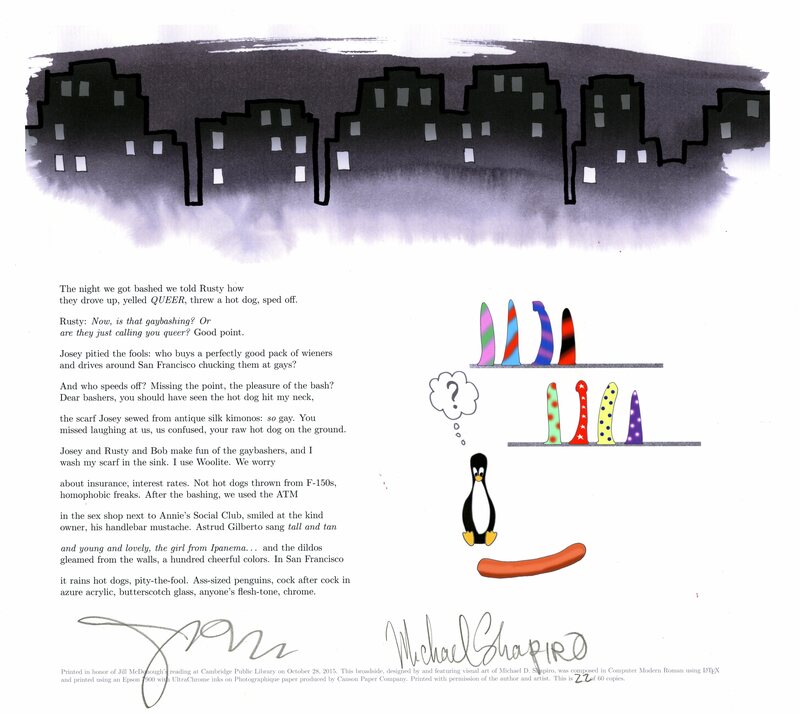 The inaugural issue of Spare Change.